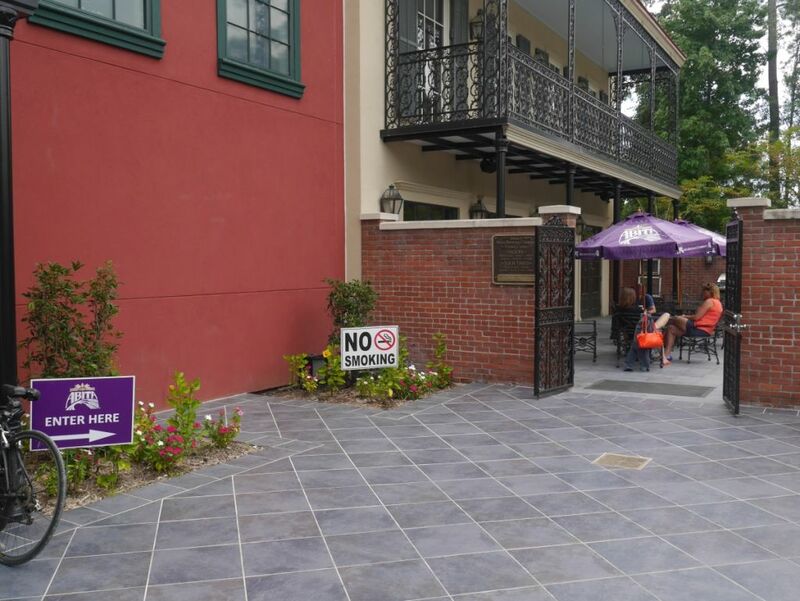 While out in New Orleans for the fourth of July weekend I went out to Abita for some beers. 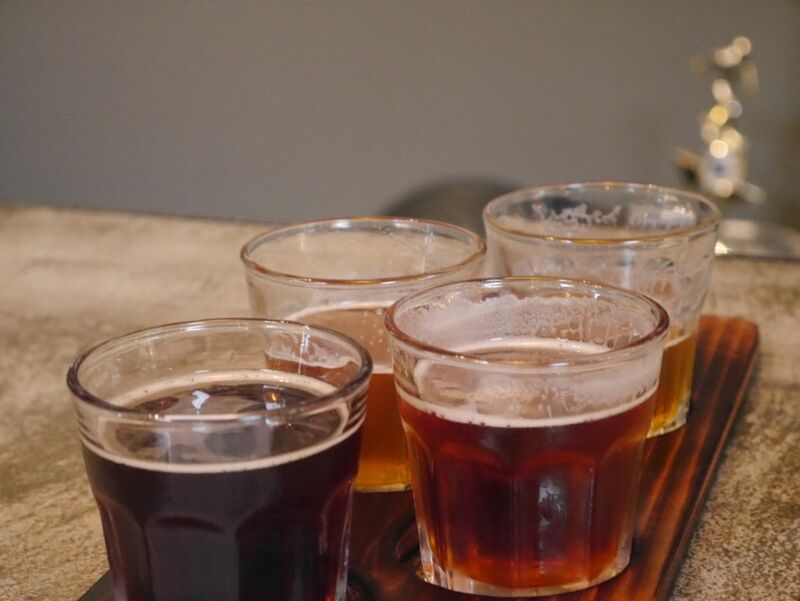 The main tasting room only does tours and serves people beer as part of the tour. They also have a brewpub if you want to order some food along with your beers. 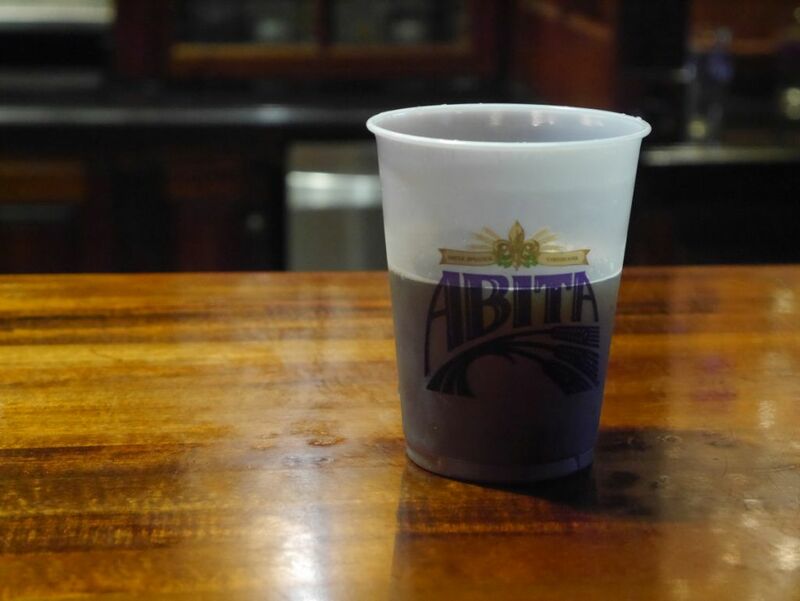 I was a little disappointed that they only use plastic cups for beers on the tour but it seems to be common in certain local bars to give people plastic cups. They were working on some renovations when I visited so the outdoor view was a little messy. 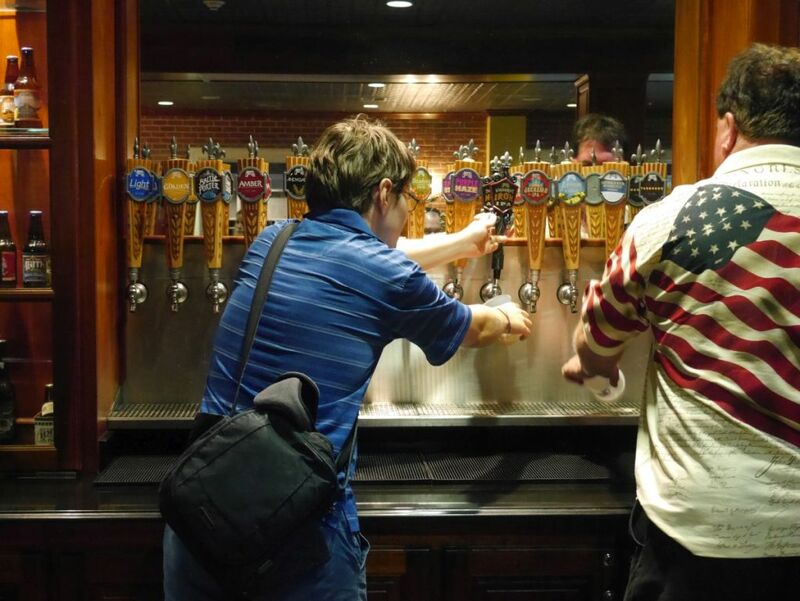 When you go on a tour, you are given a cup and allowed to pour your own beer from whatever they have available. They even pulled out a few bottles of the Bourbon Street bourbon barrel aged imperial stout and baltic porter for people to try. Though I didn’t get to try the bourbon barrel aged imperial stout while I was there I did bring a bottle home from another local bottle shop and my thoughts are included. Some bourbon barrel aged Baltic porter. While I was there I tried a smaller sample than usual because you only had one cup to fill and pouring small taster sized pours of everything would not be very practical. I got to try the Jockamo IPA, Wrought Iron IPA (which I’ve previously written about when it showed up in San Diego soon after the brewery released it), Turbo Dog brown ale, bourbon barrel aged baltic porter, and bourbon barrel aged imperial stout. I started with the Jockamo IPA. It was a solid IPA with good balanced caramel malt base and medium bitterness. Hop flavors mostly tended towards the classic English earthy variety. In comparison, the Wrought Iron IPA is closer to a West Coast style IPA. Hops give it a good golden flavor that sometimes tends towards citrus and mango. Malts are not as strong as the previous beer. This is the one to go for here if you like the West Coast style. 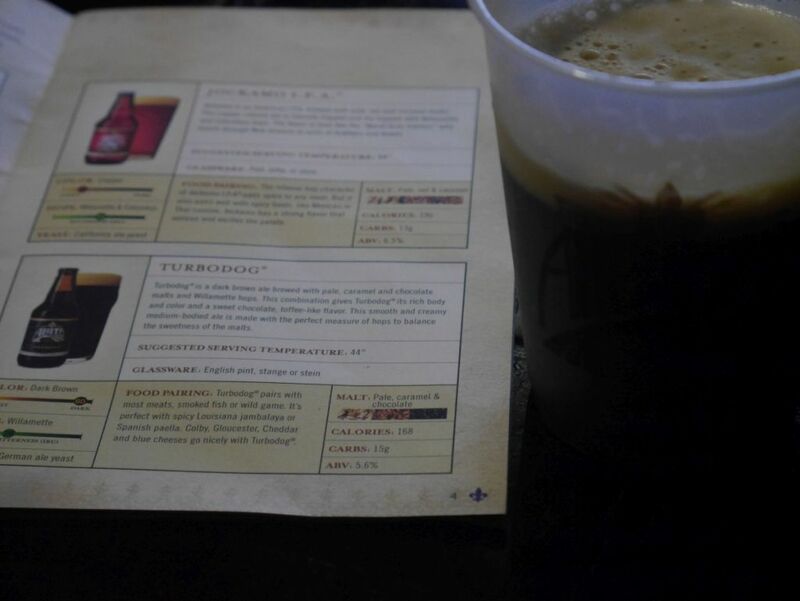 I then went for the Turbo Dog brown ale. It had a higher alcohol content than most browns I see in California with some solid roasty and nutty flavors. This was a solid beer. I skipped most of the other lighter options available and went straight for the bourbon barrel aged stuff. The bourbon barrel aged Baltic porter has a smooth caramel flavor from the Bourbon barrels. It is a little on the sweet side but overall solid. The bourbon barrel aged imperial stout is fairly light bodied and the bourbon comes in strong. I opened this bottle recently after returning from my trip. It is a solid first beer to introduce someone to bourbon barrel aging but compared to many of the more well-known examples of the style it doesn’t hold up. Less than a mile from Barrel Harbor Brewing is Booze Brothers, another brewery that has been open for less than two years. 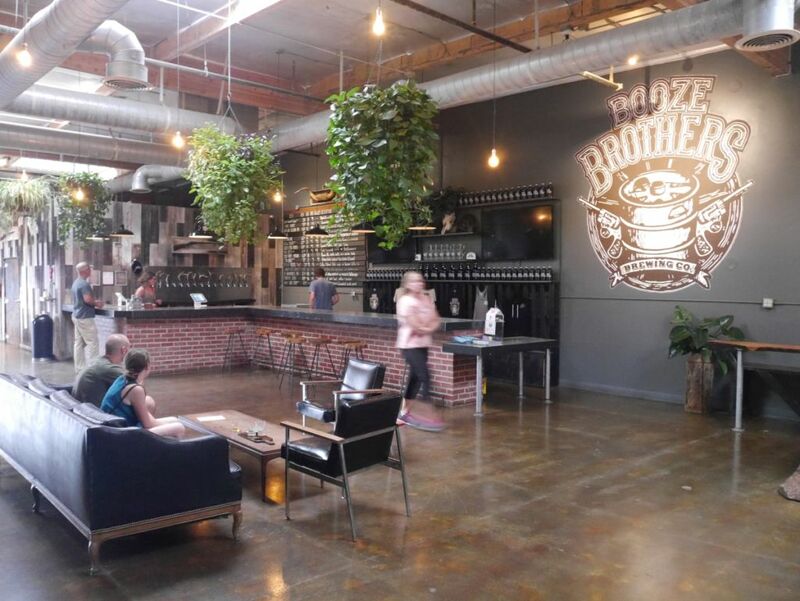 It is hard to believe that the breweries are of different ages because Booze Brothers has a much more polished look inside and did a great job pulling off their theme of old west imagery. 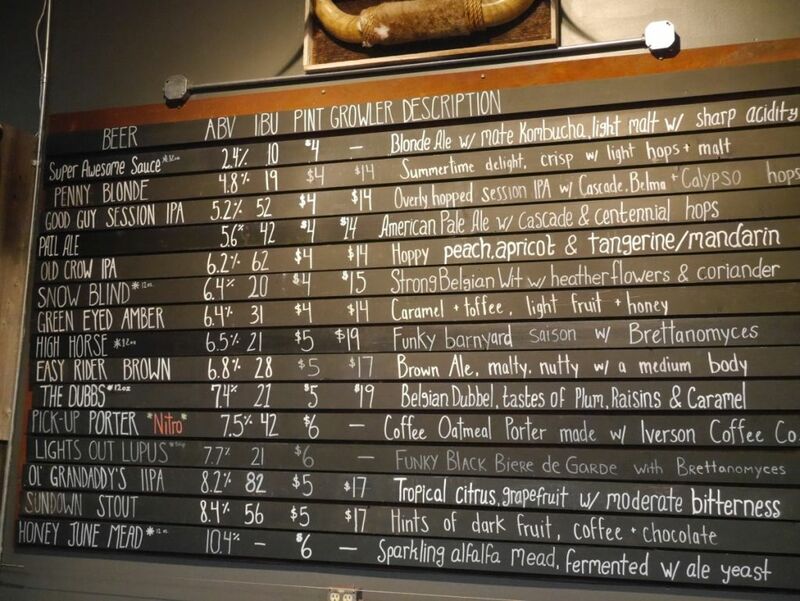 I had heard some great things about Booze Brothers before visiting and I was quite glad to see them showcasing some less common styles including a biere de garde and a brett farmhouse. I tried quite a few more tasters at Booze Brothers and thankfully my husband was with me to help me with the stouts and drive back. Otherwise I would have had to limit myself to a small number. I started with four tasters, the Old Crow IPA, High Horse brett saison, Green Eyed Amber, and Easy Rider Brown. I later tried the Ol’ Grandaddy’s IIPA, Sundown Stout, Lights out Lupus biere de garde, and Pick up Porter. The Old Crow IPA was an OK IPA with a medium amount of citrus and lightly bitter. It didn’t have much that made it stick out though. The High Horse brett saison was a very nice refreshing saison with just the right amount of funk and a good amount of fruit from the brett. The Green Eyed Amber was an interesting fruit forward amber beer with a light amount of honey. It was also quite smooth. The Easy Rider Brown was good and sweet and nutty with a light chocolate flavor. The higher alcohol here made it a little more my style. The Ol’ Grandaddy’s IIPA was good and dank with a medium amount of bitterness and not too sweet. Still, like the other IPA it didn’t really do much to stick out. The Sundown Stout was a nice blend of chocolate, roasted malts, and a bit of dark fruits. The fruits blended nicely with the rest of it so as not to overpower the rest. Lights out Lupus was my favorite of the evening. This delicious Biere De Garde was bursting with dark apricot and some smooth yeasty saison flavors. This one should absolutely be made a regular at some point. Finally the Pick up Porter was a nice intense coffee flavored stout that got the flavors just right. Good and roomy tasting room with a few couches. 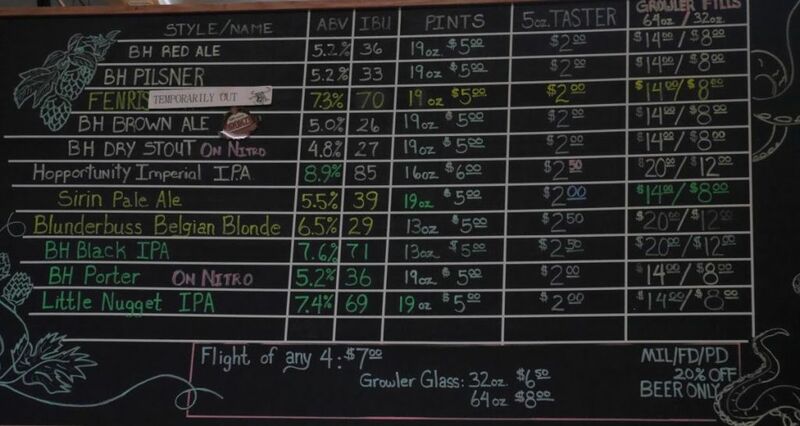 I was impressed by the variety of beers offered at Booze Brothers and especially by the two saisons they had on tap. The IPAs could use some improvement though, as the Nugget IPA at Barrel Harbor was much better than anything hoppy at booze brothers. It certainly seems like the brewery is growing nicely and should be one to watch in the coming years. 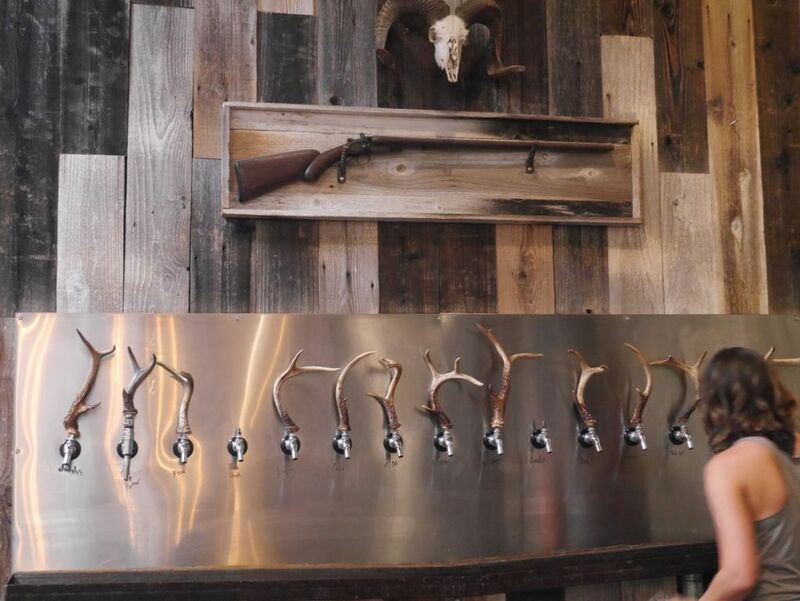 Tap handles appear to be made from antlers of some sort. 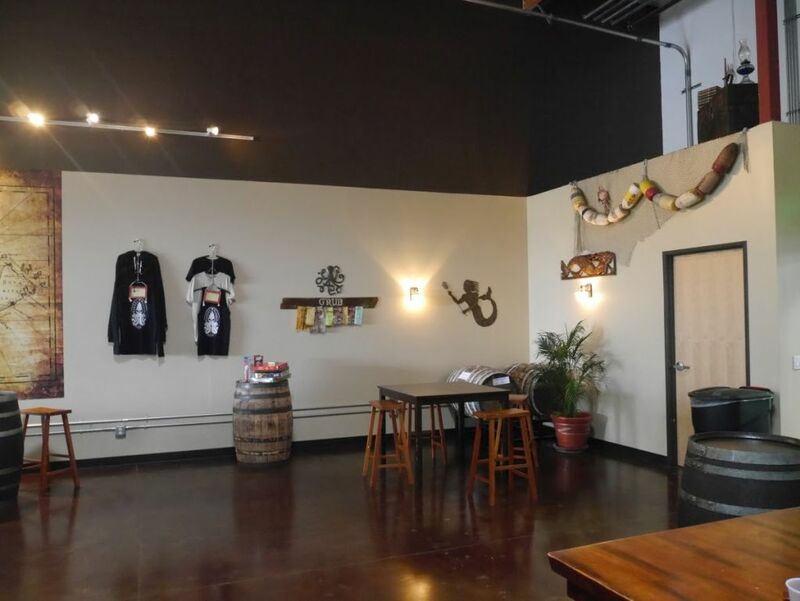 For a brewery that has been open for less than 2 years, Barrel Harbor is not doing much to distinguish themselves in a crowded market. These days brewing a good IPA is simply expected. 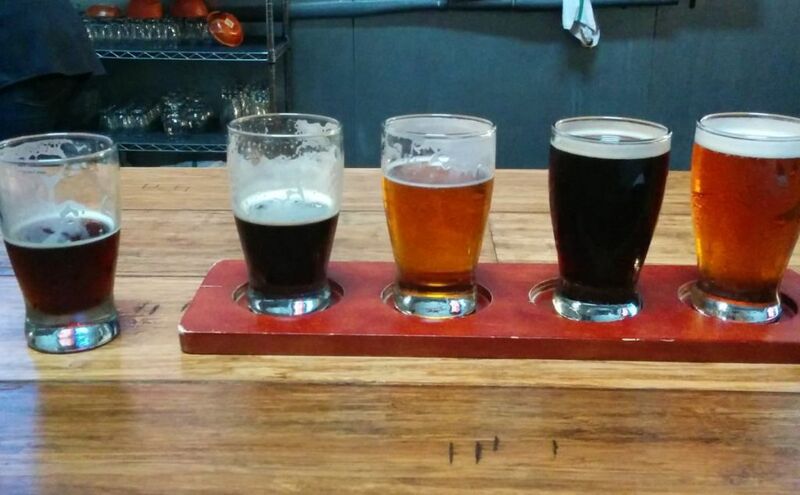 I stopped by this past weekend and tried the brown ale, porter, Nugget IPA, black IPA, and double IPA. From all of these the single hop Nugget IPA was probably the most impressive. They were out of their regular IPA at the time. The brown ale was typical of the style, smooth and flavorful yet not really standing out. The porter was available on nitro and was good and creamy with mild roasted flavors. The Nugget IPA, single hop IPA with the nugget hops, was the best of the bunch. It had a nice golden flavor while being very smooth and fruity. The hops were noticeably fresh and it jumped out at me. I would guess that these are the same hops used in Abita’s Wrought Iron IPA that I love so much. My flight of beers with an extra for the double IPA. The black IPA was interesting because it was pretty mellow and low in bitterness for a black IPA. The hops tasted pretty similar to the nugget, though I was told it is brewed with simcoe. The hops blended nicely with the roast, making it a solid beer. Finally, the double IPA was strongly bitter and had a bit of a soapy taste that combined with a cloying sweetness. I wasn’t able to get myself to finish the double IPA taster. 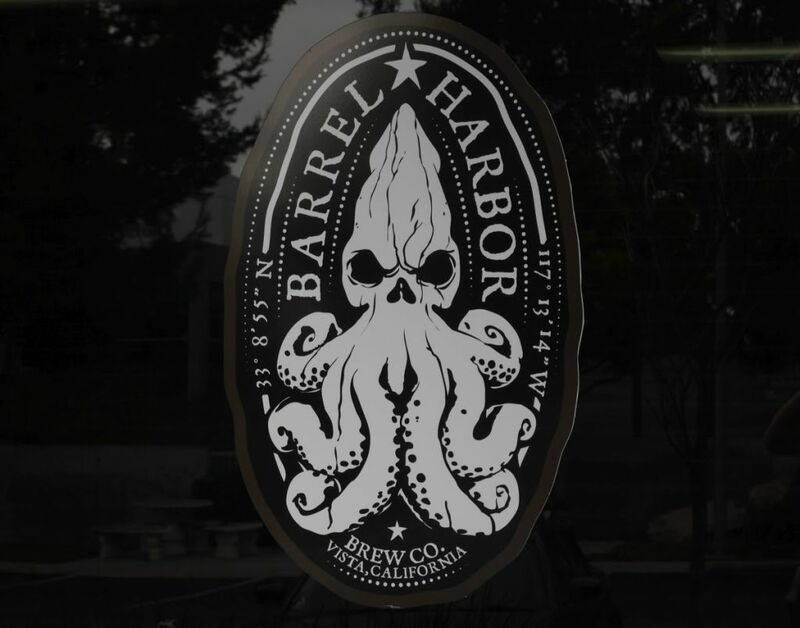 I first tasted an IPA from Barrel Harbor on tap at a bar in Rancho Bernardo. They certainly know how to brew a good IPA but in this market you need to do more than that to stick out, especially up in the “Hop Highway” region, off the 78 freeway. 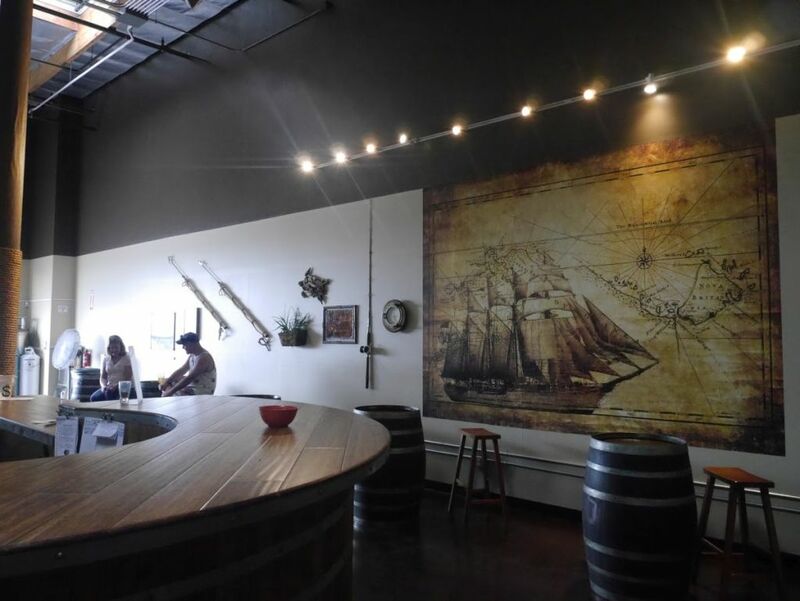 They do have a nice pirate/nautical theme going that makes their tasting room an interesting place to visit. 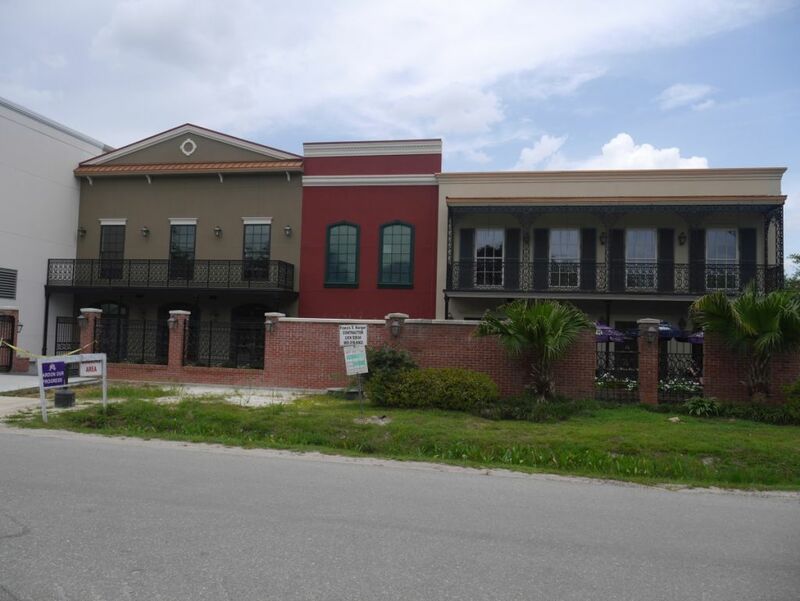 If you do drive up to visit Barrel Harbor make sure you visit one of the other breweries in the area as well. 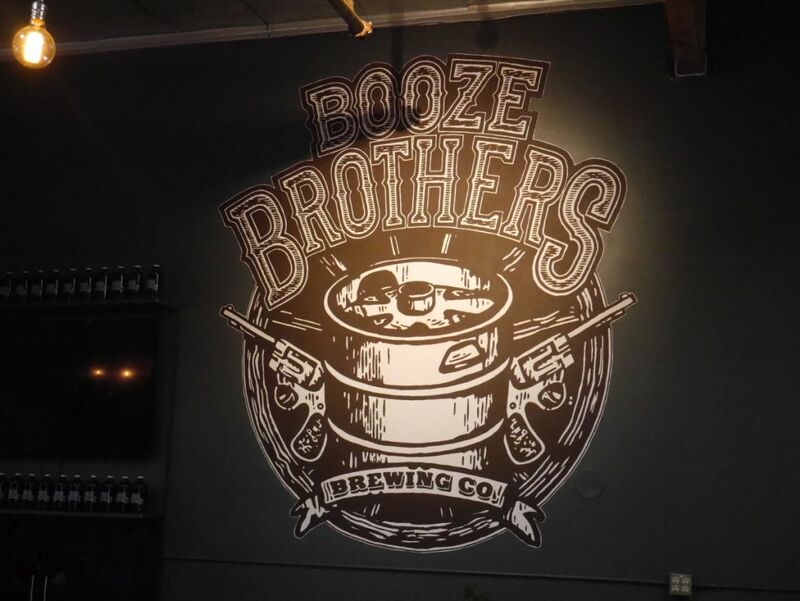 They are very close to Booze Brothers, which will be the subject of my post next week. Back when I first posted about Tijuana beer I had only been able to visit a single brewery and a bar. Thankfully, over time there have been more and more places opening, making the area more accessible to visitors from San Diego. Specifically, a small plaza has started growing where you can taste beers from many different breweries all in the same enclosed space that is only about a mile south from the border. 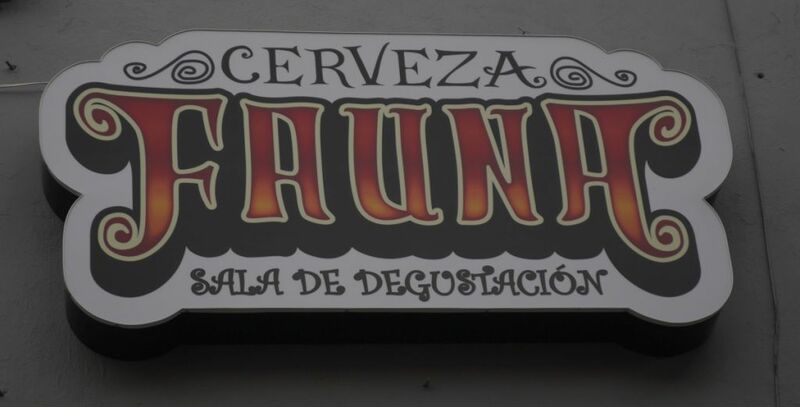 For this specific trip I was able to visit Fauna, a brewery from Ensanada, a bar called El Tigre featuring the beers from Ludica, and Paralel 28, a local brewery that also has a few guest taps. This same area is soon to be home to a few other local Tijuana breweries including Border Psycho and Insurgente. 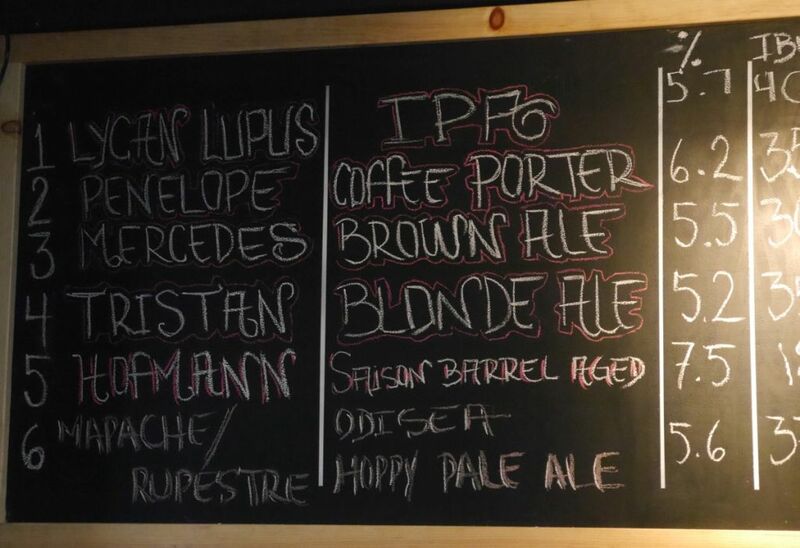 House beer tap list at Fauna. 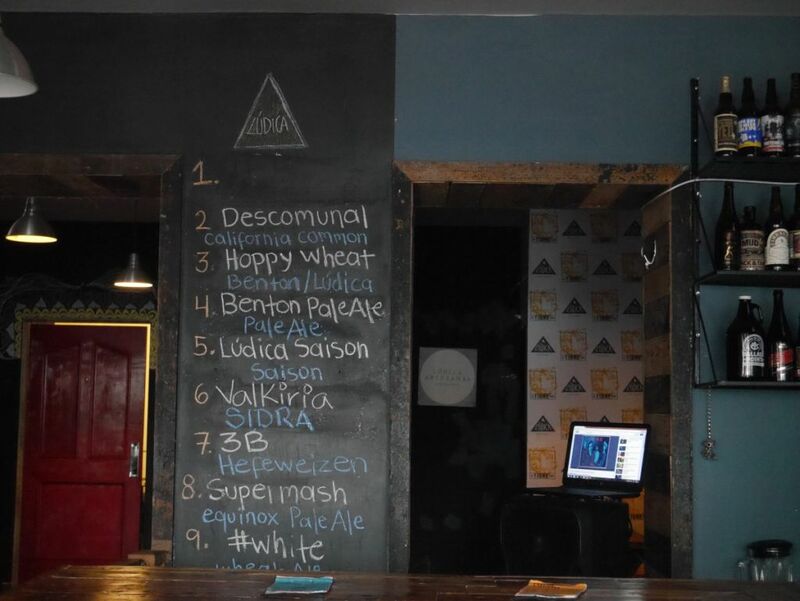 A few things to keep in mind about these breweries, most of them want you to pay in cash only. This is a big difference from Baja Craft Beer that was perfectly fine with people paying with a credit card. Most of them should be fine giving you some change in pesos after you pay for your beers in US dollars though you should be ready with smaller bills if you don’t want to end up with a lot of extra pesos back. Also, most of the people working there seemed to speak pretty solid English, so you should be able to order beers with no problem. If you have data roaming from T-Mobile you can get around with Uber, otherwise you will want to take a cab, which will also expect cash. 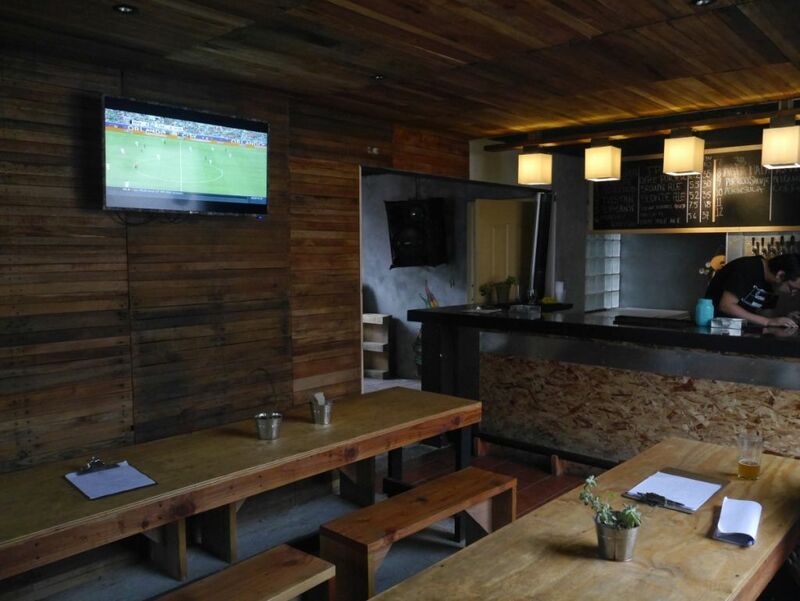 The area where these bars and tasting rooms are located is known as Plaza Fiesta though cab drivers might know it better as plaza del zapato. If you see a bunch of clothing shops you are in the right area but you need to go down the street until you see the bars. They aren’t particularly inviting from the outside but they have done a good job with making them look nice on the inside. Because most of the places I visited did not do flights like I am used to in San Diego I only ended up tasting a few beers at each location. More of the view inside Fauna. My first stop was Fauna. The bar is also a restaurant and they have some really good food from what I hear, though I only got to try one of the small ceviche tostadas. Beer wise I ended up trying their coffee porter because I had already tasted the IPA at Baja Craft Beer previously. 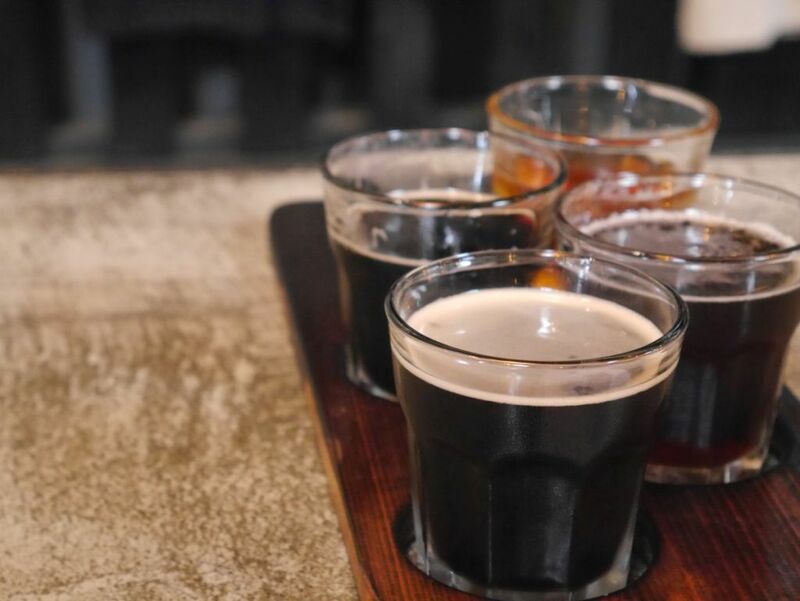 The coffee porter hit the spot with plenty of roasted malt flavors and a solid strong coffee flavor. 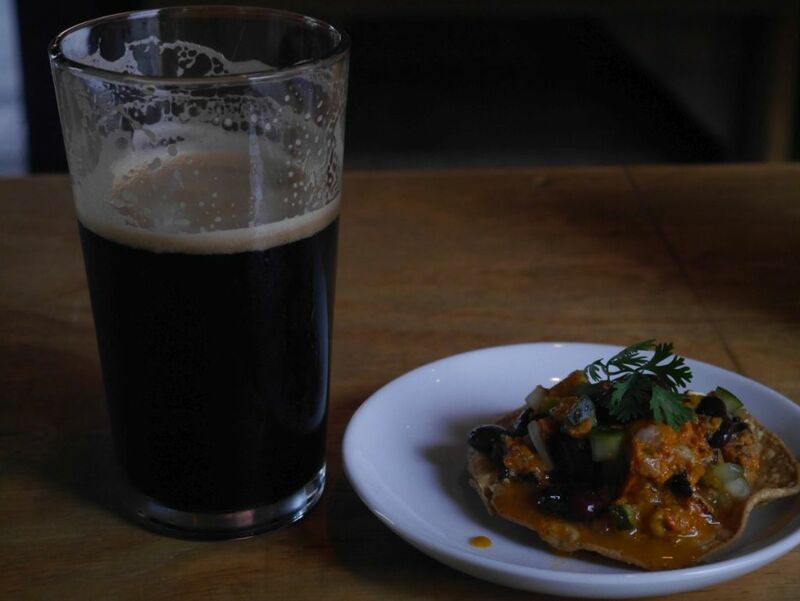 Coffee porter with some ceviche tostalito. 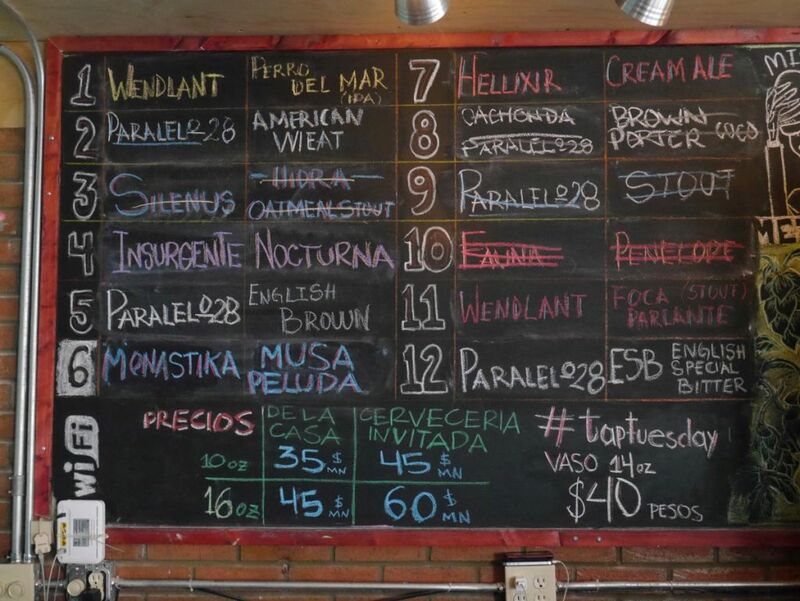 Next I went across the street to El Tigre, where I got to try a few of the beers from Ludica. I tried a single taster of the Saison and was not impressed. It was overly sweet and yeast forward without any of the smooth flavors I expect in the style or much spice. 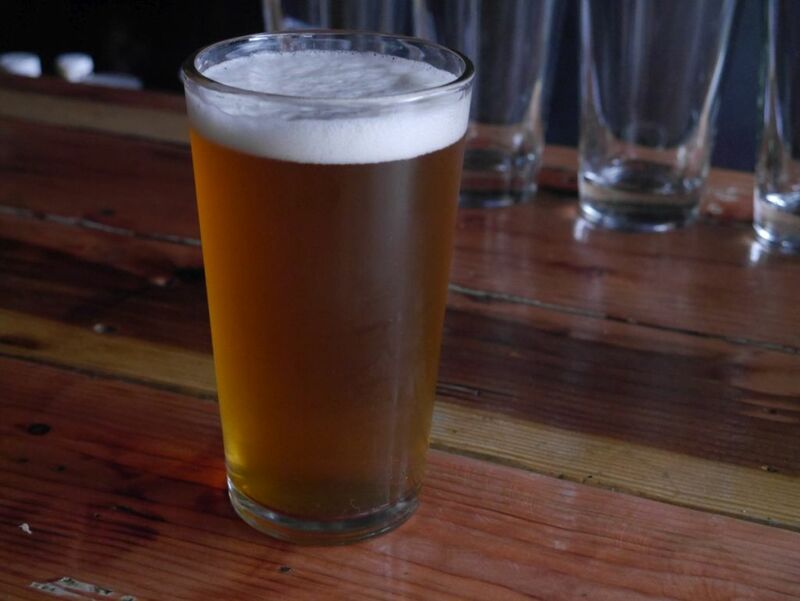 I ended up with a pint of the Supermash Equinox Pale ale (single hop). I could tell that the hops were extra fresh and bright. It had a good tropical fruit flavor and a nice low malt bill. As you can see on the photo most of their beers were a bit lighter than I normally like. Single hop pale from Ludica. 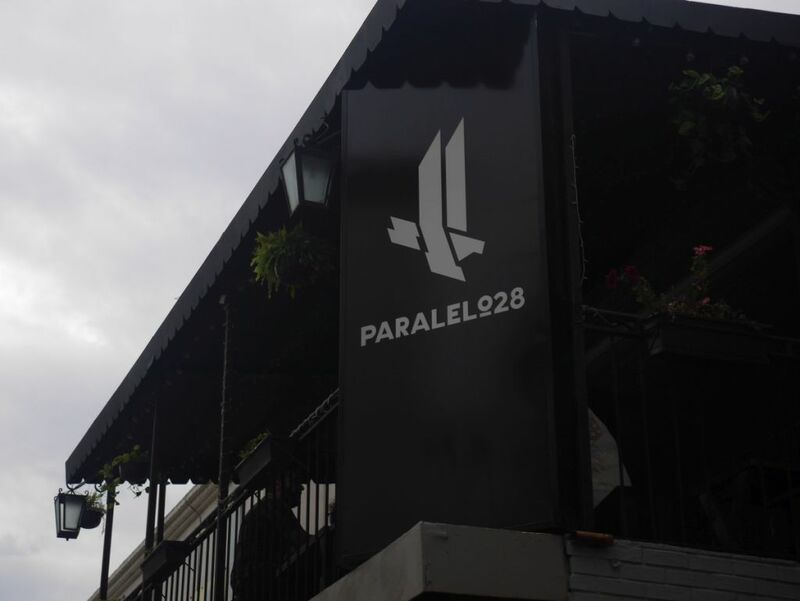 Finally I visited Paralel 28, though they were out of a lot of their house beers and what was left didn’t appeal to me. So I ended up trying an IPA from Wendlant called Perro Del Mar. This IPA was quite tasty and had a lot of what I expect in a west coast style IPA. Before I went back over the border for the night I walked the short walk to my favorite taco place in Tijuana called Tacos El Frank. They are only open in the evenings and have some delicious carne asada tacos as well as other options for a very inexpensive price. I hope to write again over the next few months when Insurgente and Border Psycho open their own places in this plaza. For now, I was glad that I got to experience what I did and see that craft beer is becoming more available. Sadly, it seemed the locals were still ordering macro crap in most of the bars because that is what they are used to. Almost everyone in El Tigre was drinking Indio. If you are thinking about visiting these bars, they aren’t known by Google yet. 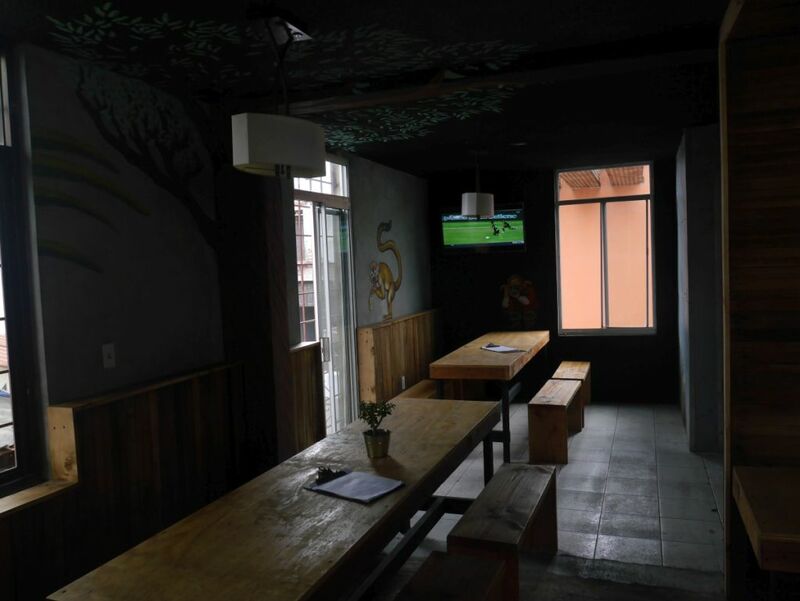 Probably the best thing is to look for Sótano Suizo, a bar in the same area to find out where to go.